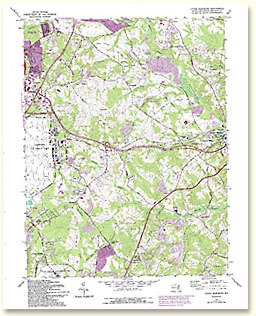 Below are a selection of portions of maps, geographic diagrams, and other images used for the Map Cataloging Tool Box. 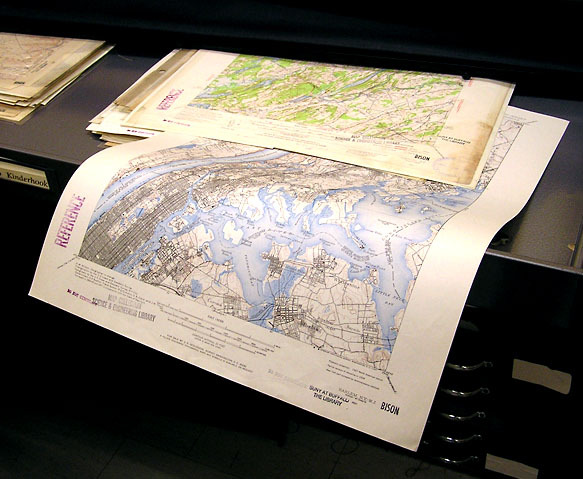 Contours and form lines are drawn on a map by projecting the 3-D ground onto a flat surface. 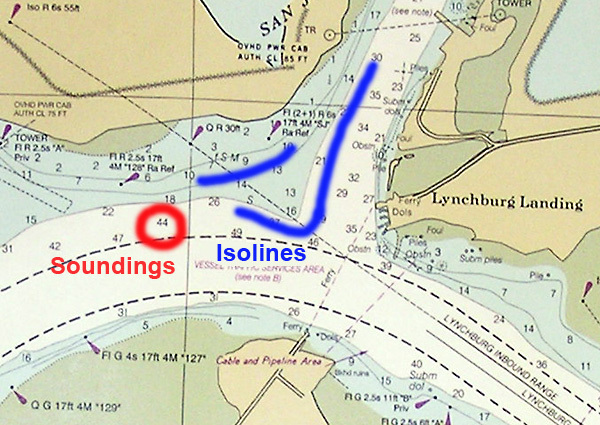 Nautical chart showing both ISOLINES and SOUNDINGS. 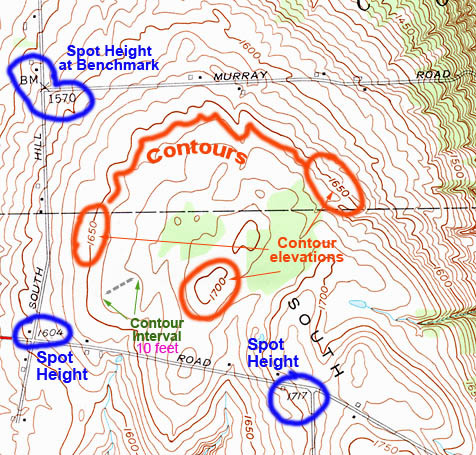 These relate to topographic maps as contours and spot heights. 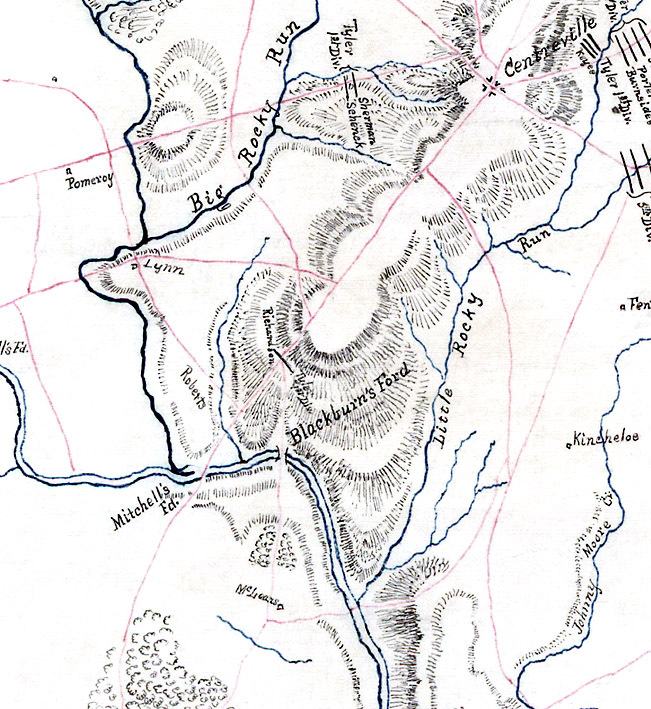 Map showing hachures and pictorial relief. How hachures are developed (different methods). 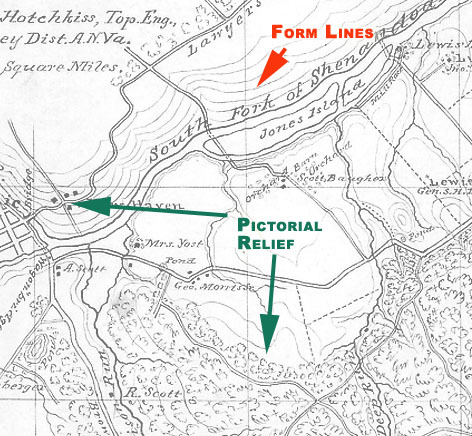 The map below shows both form lines and pictorial relief. 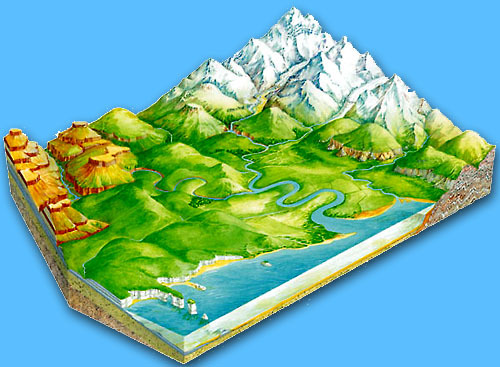 Landform maps show relief in a more pictorial way. 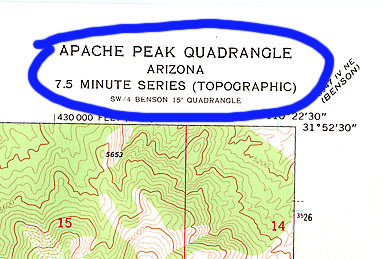 The shapes are general and not specific to the place being mapped. 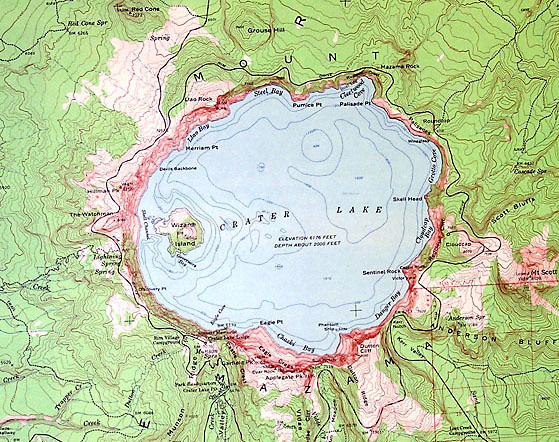 Topographic-Bathymetric map of Crater Lake. Compare with below edition that includes different relief techniques. 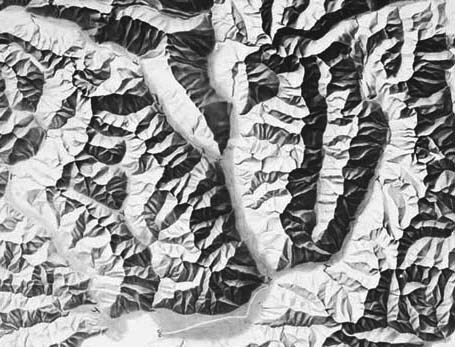 500 Relief shown by contours and spot heights. Depth shown by isolines and soundings. 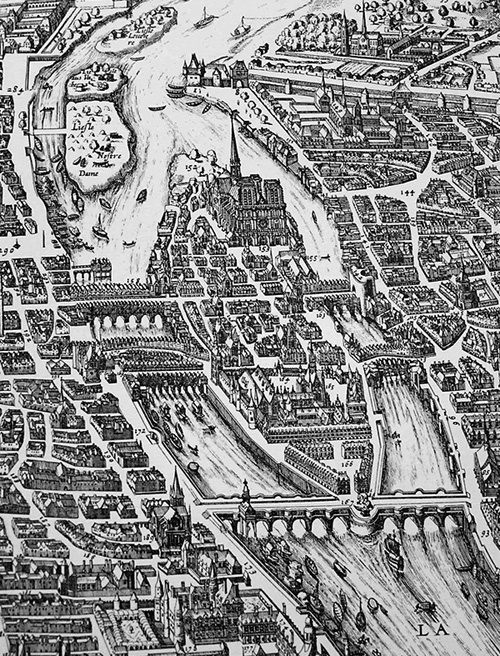 500 Relief shown by shading and spot heights. Depth shown by isolines and soundings. 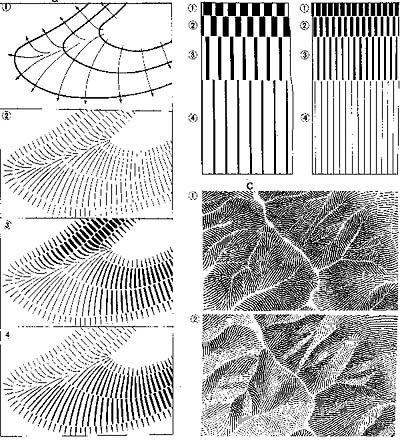 500 Relief shown by shading, contours, and spot heights. Depth shown by isolines and soundings. 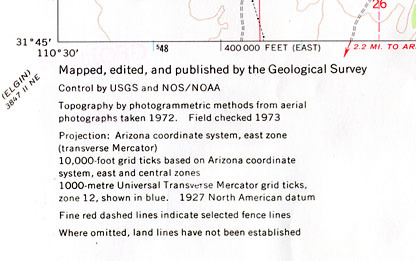 Typical topographic map layout. Filing title and dates, along with other descriptive data is found along the bottom edge of the sheet. Filing title, date, series (note type), other data. Statement of responsibility, additional notes on compilation and date information. 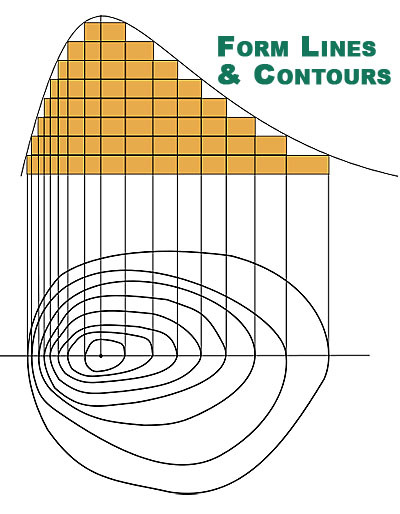 Scale and contour data (for scale and for note on contour intervals). 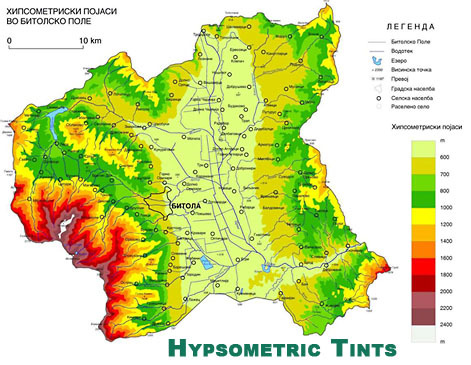 This uses hypsometric (elevation) tints to display relative elevations. 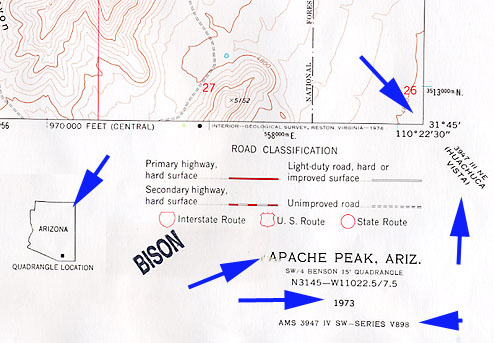 When this type of bar appears on a map, it is a tip-off that hypsometric tints are being used. 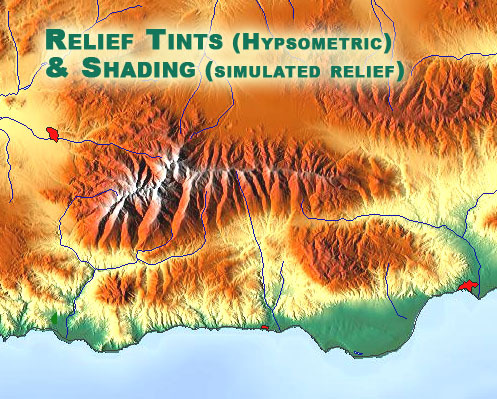 This shows both hypsometric (elevation) color use, and shading to show relative relief. 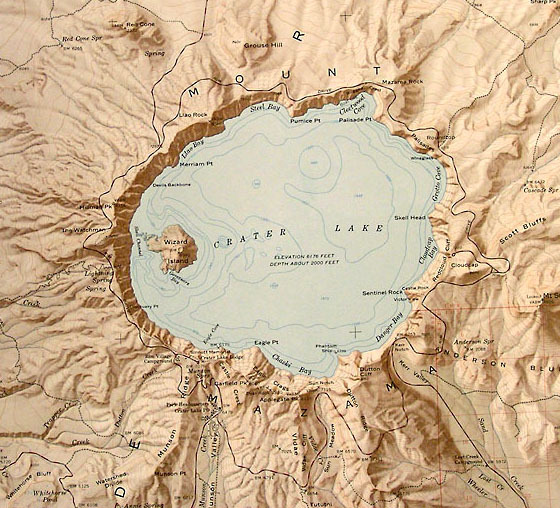 Shaded relief map (only shading is used on this example).